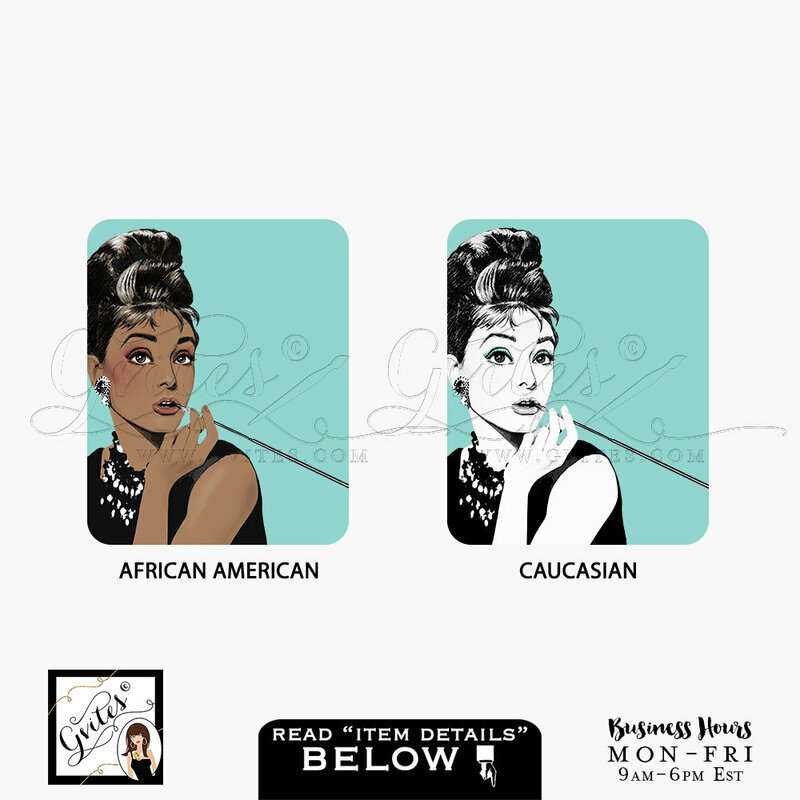 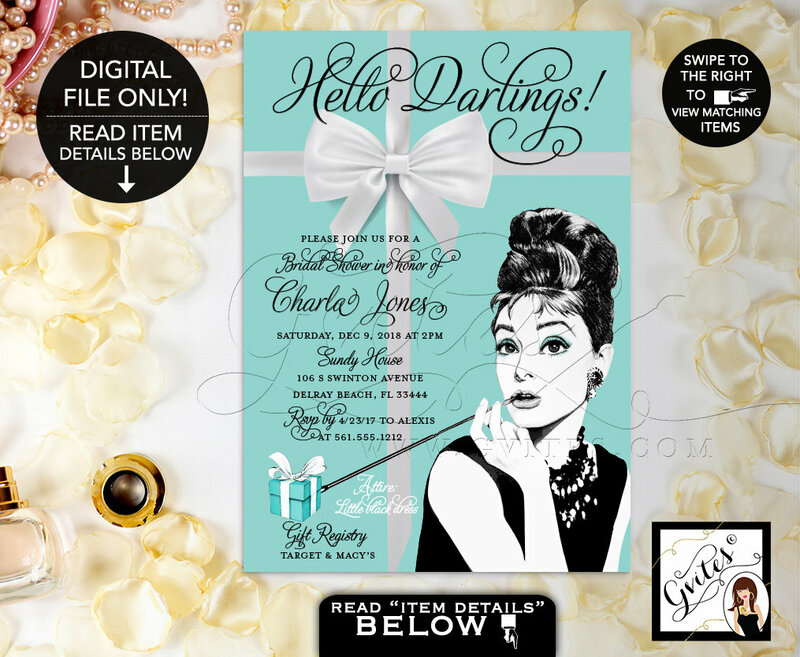 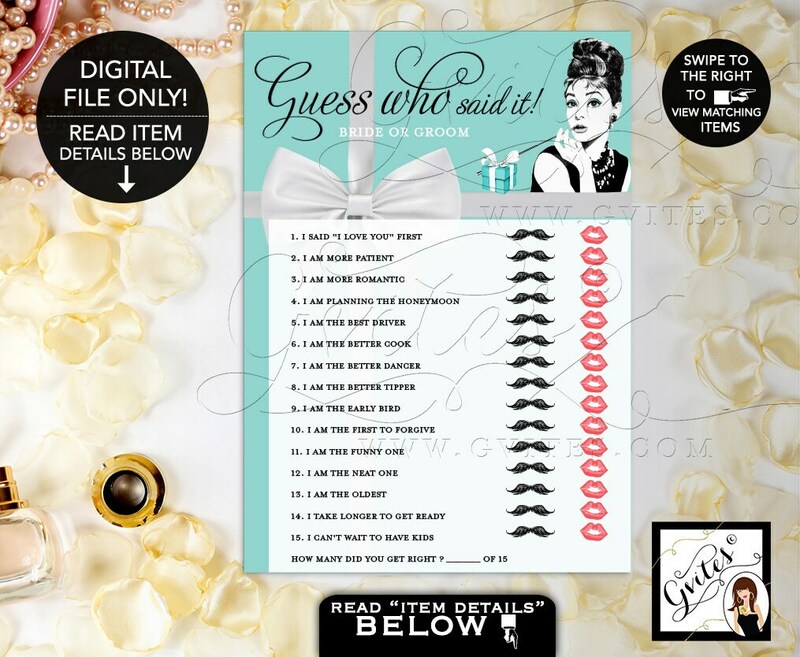 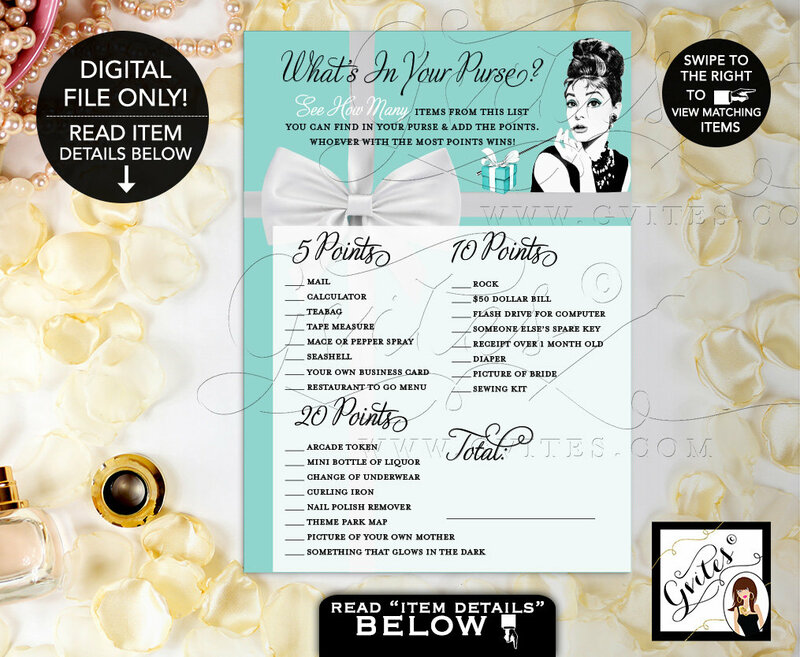 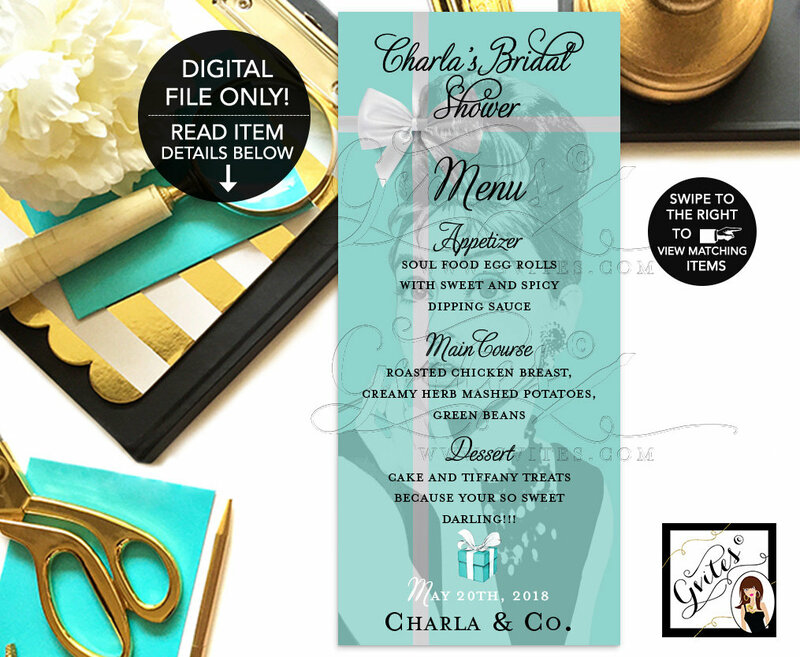 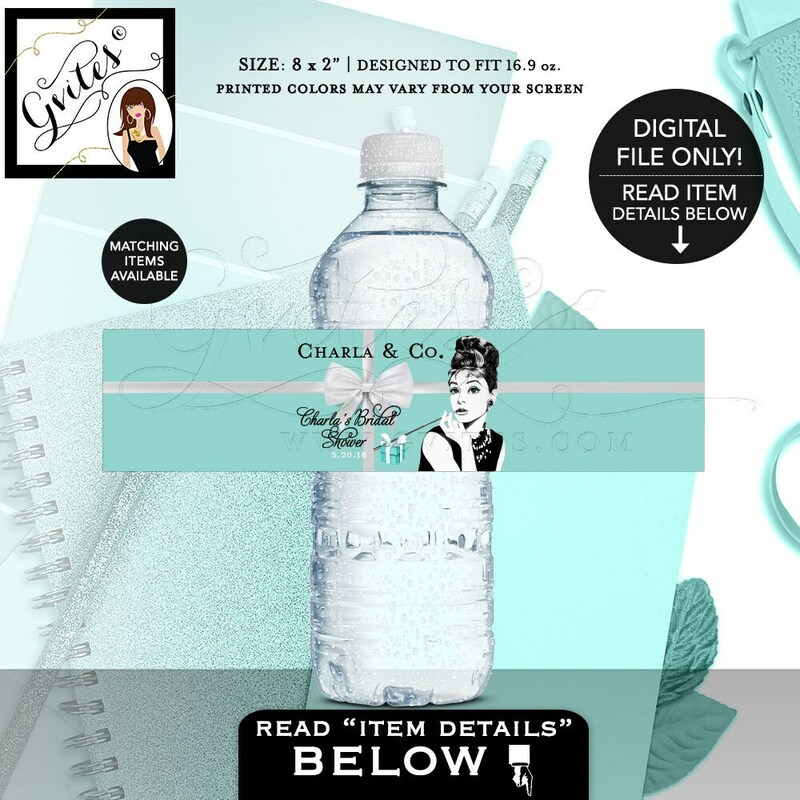 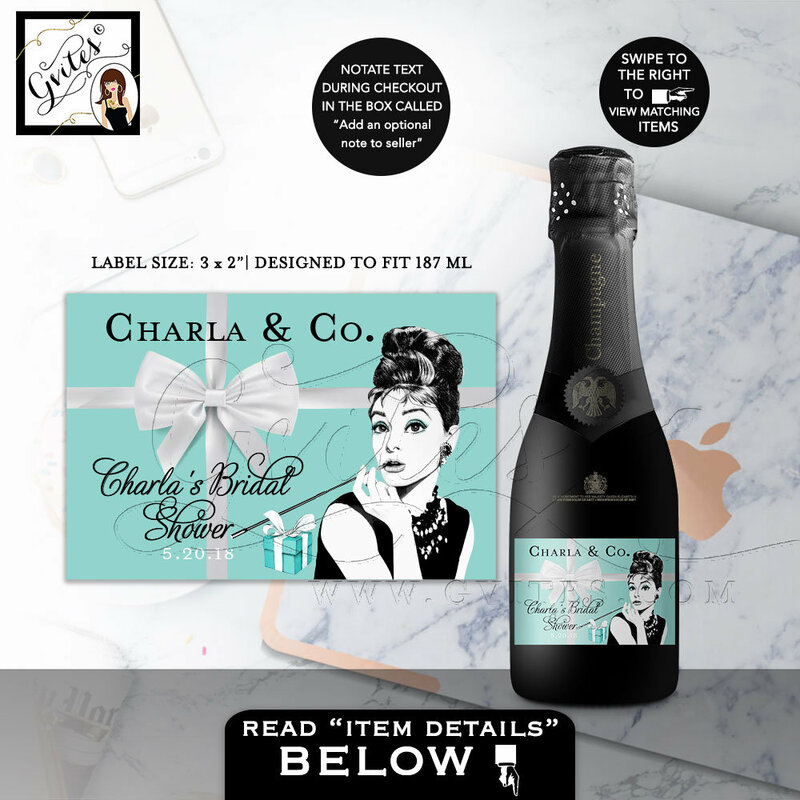 Audrey Hepburn Bridal Shower Printable Invitation, Breakfast at and Co themed wedding shower, 5x7, Digital File, Gvites. 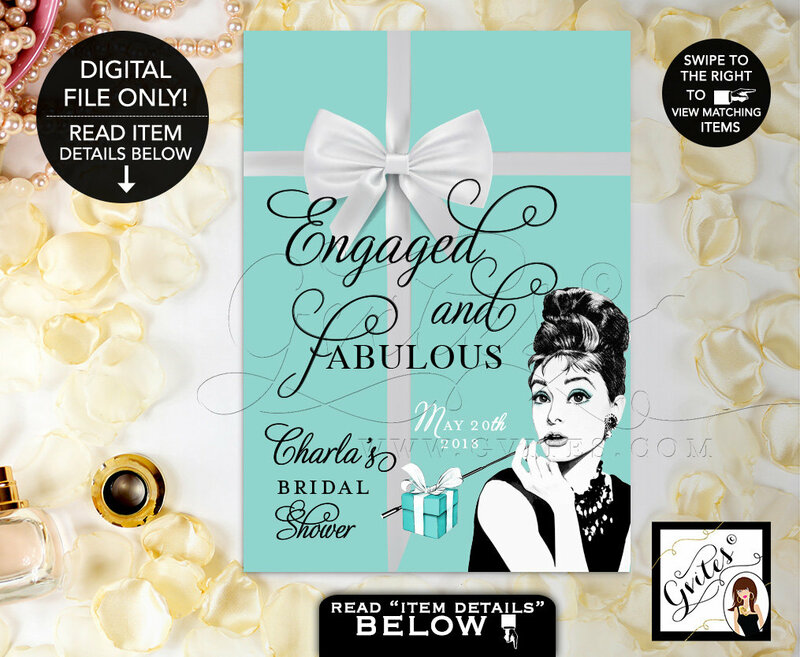 Absolutely loved my Invite. 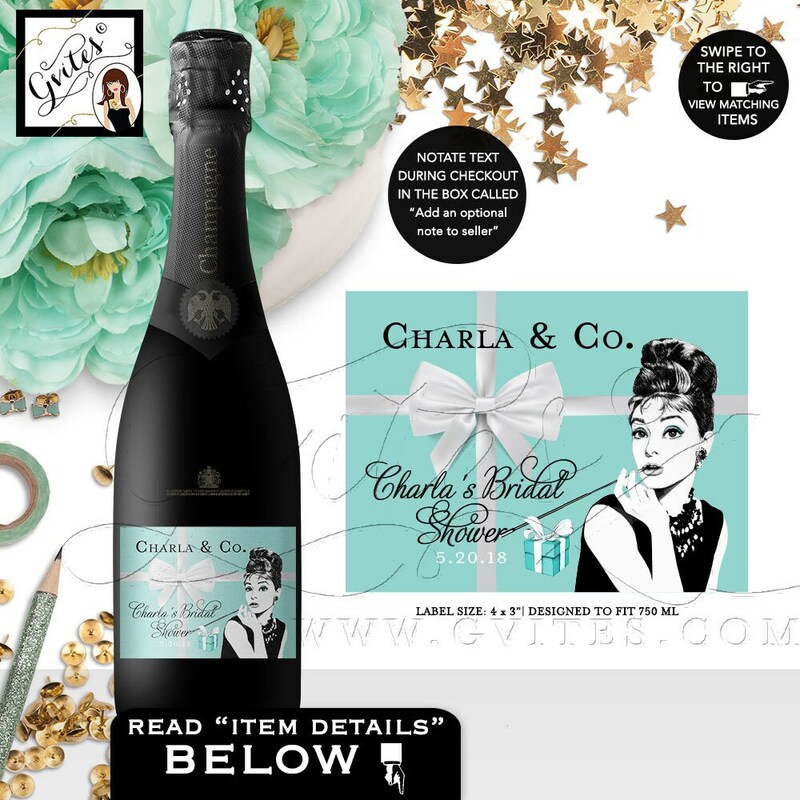 It was super classy and elegant!